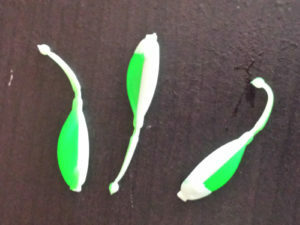 Pack of (5) – A truly weedless shakyhead jig with an easy, highly efficient hook set, FINALLY. 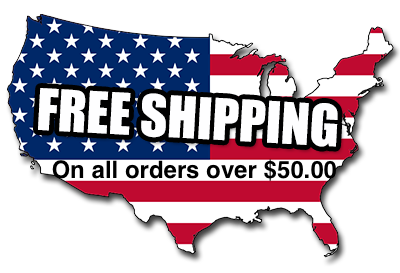 No need for stiff rods, heavy line or backbreaking hook sets. A medium or medium light rod, 8lb test line and you’ll be “SET”. Handcrafted at B & P Jighead. 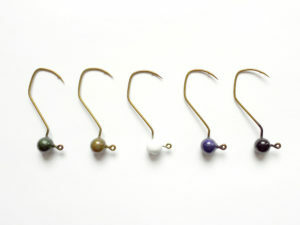 Available in sizes 1/8, 3/16, 1/4, 5/16, or 3/8 oz on a 4/0 bronze sickle hook. 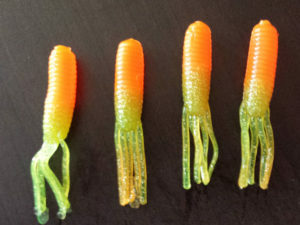 The 4/0 is very compatible with 4 or 5 inch senkos, 6 inch worms, etc rigged Texas style. It stands up, works the bottom well, and shakes easily. It works and it catches fish. Going weedless reduced the snags but also presented a second problem, hooking fish. The attempts to reduce hook ups were successful in both ways. Fewer snags and fewer fish. 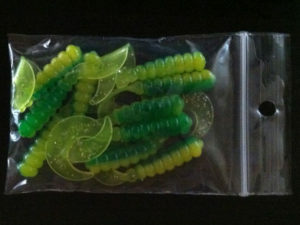 So the search for a better hook set followed. 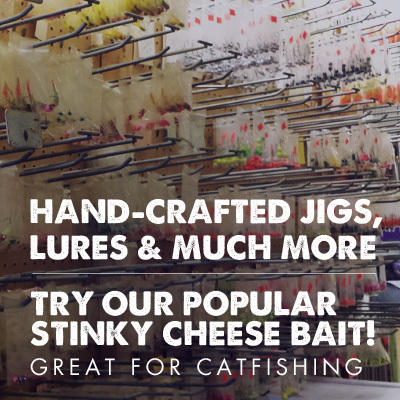 Bigger hooks, different jig eye orientation and angles, stiffer rods, etc. but the problem is still there. The shakyhead got a lot of bites, but missed a lot of fish. Now, the TRU SET hook, the answer to both problems. 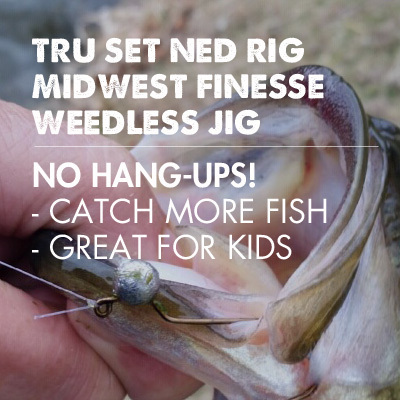 It’s weedless, and has an extremely effective hook set. 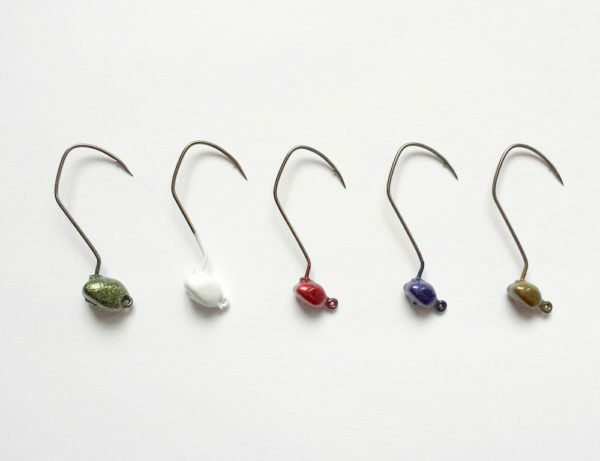 The hook set is as good or better than most exposed “J ” shaped hooks. The Tru Set hook point is at a 45° angle and has a built in ” cam rotation ” that throws the hook point up, into the roof of the fishes mouth upon setting the hook. Just where you want it.